I am the author of many articles and essays from different websites. I have been involved in several businesses – helped big companies with speeches, wrote a lot of works for students and pupils, took part in the editing of scientific articles, etc. My goal is to help the young generation to become professionals. I am always open to offers. The essay is a type of writing, which shows your personality. It means that it consists of your individual thoughts, feelings, experience, and knowledge. And it is not so easy to organize all these aspects in one essay. 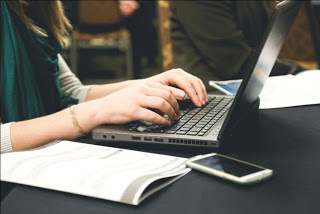 To avoid all problems connected with essay writing, you can always contact with special services, in this case you can get acquainted with MyEssayWriting. And, anyway, you should know what should be in your essay and what should not. So, this article will help you not only evaluate essays by different authors but also to write your own. What do you need to know before writing? Before you start to write your essay, you should revise necessary information. Use the internet to find more examples, stories, and thoughts of other people. It will help you to remember more information and enrich your work. Do not start to write an essay if you are tired. Inattention and fatigue are not friends with a good writer. Work with a fresh mind. In another way, your essay can be incoherent or boring. Avoid a noisy atmosphere. Find a calm place, use headphones – do everything to be calm. Hard noise, peoples’ conversations, and even the music can distract you from your essay. Turn off all things that attract your attention and pay your attention to your work. What must you know while you are writing an essay? A good essay always consists of the introduction, the main body, and the conclusion. It is the main rule connected with the structure your work. You can always add more information in the main body, but never do the introduction and conclusion too long. Cross out all extra information to make them shorter. Use more examples in your work. If you insist on something – prove that you are right, give examples from your life, literature, or even films. But never use the same example that you have found in another essay (except quotations from a literature). Make your essay understandable. Do not use long or ambiguous phrases. It can bore the reader of confused him. Also, it is better to avoid terminology. Try to change it into well-known words and phrases. It will expand your audience. But if your essay should be specialized – you can use terminology, just be sure in its meaning. Check your text two or more times. It is normal to make mistakes or misprints. But you cannot show to a reader your essay with all these mistakes. So, read your work as many times as you need. Look through the text and fix all of them. There is a help for inattentive authors – special websites that can show you all your mistakes. Also, you can ask special companies, as MyEssayWriting, to read your work and fix it. It is a quick and cheap way to get a good work. Do not be afraid of writing! The rules above will help you to write an essay, but the results always depend on you. So, do not be afraid of making mistakes. One day you will definitely write the best essay, just do not stop writing. 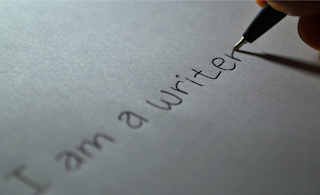 Keep working and you will feel like a real writer. If you need academic help with your essay, I can advise you tips for writing an essay You can also read a lot of essays there.